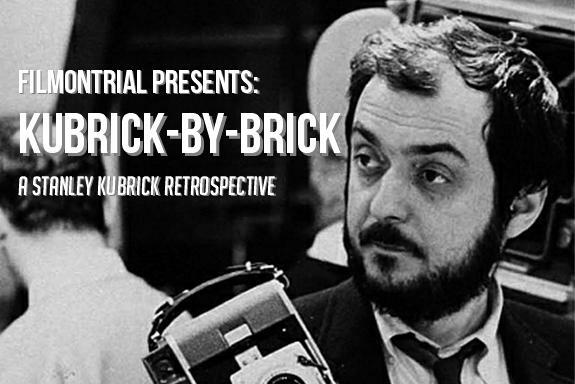 Even after a number of years of struggling financially and not quite hitting the high artistic targets he set for himself, it could never be claimed that Stanley Kubrick was a man without promise. In 1956, he delivered on that promise and more with The Killing, a deft noirish heist thriller populated with excellent characters and fuelled by undeniable purpose. 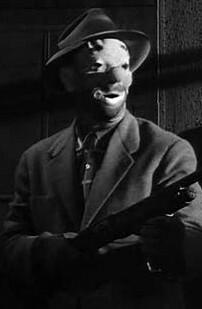 A ragtag band of would-be criminals, led by Johnny Clay (Sterling Hayden) who’s had a bit of experience behind bars himself, have planned to rob the tidy sum of two million dollars from a race course. Thanks to inside men such as corrupt police officer Randy Kennan (Ted de Corsia) and race track attendant George Peatty (Elisha Cook, Jr), their plan is a perfectly timed enterprise of wits, cunning and riches – but even if they pull it off, it’s not clear if they’ll survive each other. From the off, the confidence in Kubrick’s screenplay, adapted from the novel Clean Break by Lionel White, is glowingly apparent. The audience is dropped right into the middle of our characters’ ordeals, just days before the heist is about to commence; with the planning of the hit already finalised, the usual heist film formula of infusing plot mechanics with character moments isn’t strictly followed. As a result, we’re given more time with these characters defining themselves through action, not talk. Given that, this marks the first time Kubrick (and fellow screenwriter Jim Thompson) had true success with dialogue – each exchange is a memorable rapport of verbal fireballs, especially whenever Sherry Peatty (played with delicious nastiness by Marie Windsor, channeling Double Indemnity‘s Barbara Stanwyck) is on screen. Her smouldering, apathetic discharges are perfectly complimented by her husband George Peatty’s creased face and popped eyes. Elisha Cook Jr’s combination of bruised innocence and barely restrained rage, bubbling under that pint-sized facade, trying to please his insatiable spouse, is as mesmerising a screen presence as there’s ever been in a work from Kubrick. But again, the screenplay is the real star here; even though Kubrick dips into individual character’s storylines at varying temporal points, his hold on the narrative is incessantly concrete and assured. We always see just enough of each character, especially the two that comprise the two sides of the movie’s heart; Clay is the criminal looking for another fix, the money a mere prism for his greed, while Peatty simply wants to satisfy his femme fatale wife with the riches he reluctantly plans to steal. They’re compelling figures, both tragic and treacherous, yet they build enough empathy for you too root for them – the heart skips a beat whenever the heist is threatened during its exciting execution, their futures wobbling on a thousand possibilities. Echoing an earlier scene set in a chess parlour (ten cents an hour! ), the perpetrators all glide and fit into their respective places like the great game; pawns, rooks, and knights shift around the race track and past its unknowing patrons and employees, formulating a robbery unseen on that scale in movies. This would also be the first cinematic distillation of Kubrick’s obsession with chess, a mental sport he found in many ways akin to filmmaking; ‘You sit at the board and suddenly your heart leaps. Your hand trembles to pick up the piece and move it. But what chess teaches you is that you must sit there calmly and think about whether it’s really a good idea and whether there are other, better ideas’ – these are words from the man himself. 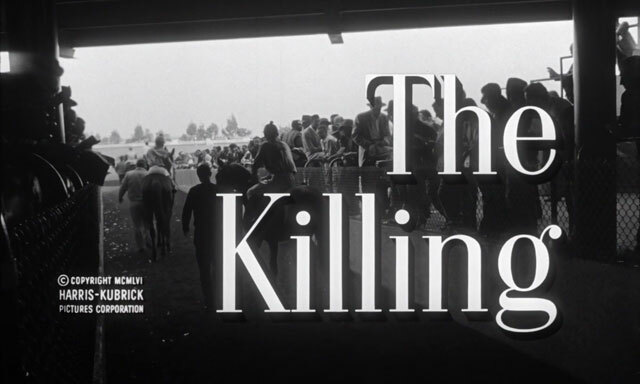 And so, the plot machinations of The Killing are carefully, delicately balanced and interwoven, an impressive achievement in what is essentially only an hour-and-twenty-minute crime flick, something we may take for granted in today’s more high-concept entertainment. Evidently, Kubrick’s disposition for ‘immaculate craft’ – to once again use the phrase from fellow cinema baron, Steven Spielberg – was becoming more pronounced, definitely in terms of narrative deftness and confidence with the camera’s movements (more highly effective dolly shots litter apartment scenes here). It’s incredible to think that this type of dialogue-heavy, plot-driven piece is a precursor to something like 2001: A Space Odyssey; evidently, Kubrick was a director interested in cinema in all its varying forms, assimilating particular tropes of the medium to make the best film he could within the context of that chosen world, to best serve its story, characters and the meanings that come with those. But that line of evolution was, obviously, to come later; this is Kubrick’s first Great Movie, the debut in a body of masterworks that changed cinema forever – where his hand stopped trembling as he picked up the piece. The Killing is, as you can clearly see, where it got exciting. > Next: Kirk Douglas and Stanley Kubrick teamed up to produce one of the greatest World War I films ever made, Paths of Glory. 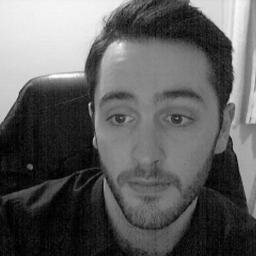 FilmOnTrial reassesses its cinematic legacy, historical resonance, and Kirk’s chin.